Google recently changed the search algorithms and guidelines for websites and users on its engine by introducing the Google Hummingbird system. The system was changed in 2013 and the new system gave birth to Search Engine Optimization (SEO) and Social Media Optimization techniques in order to help users find exactly what they are looking for on the internet or help the websites reach the intended audience through their websites. Most Digital Marketing and IT service provider companies are familiar with Search Engine Optimization (SEO) techniques but only a few of them are either familiar with it or give it due importance that it now deserves. 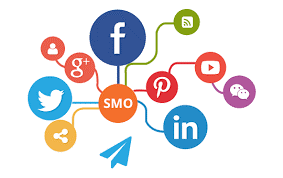 Social Media Optimization (SMO) is one of the prime ways of improving the ranking of your site; attract more audience to your site and to reach the right people for the intended purpose and motivation of your site. The social boom in the recent history has taken the world by storm with most prominent social media plate forms boasting a user base of more than a billion which from the perspective of a business or a non-profit is a goldmine of potential targets. Through the use of effective social media optimization and marketing, you can improve the ranking and value of your brands and products. Value your brand – We will improve and optimize the brand value and equity of your product through aptly done optimization on social media forums. We target all kinds of social media plate forms out there and target the audience through the selective nature of the social media forums. We try to improve them and increase the reach of your product through sharing and linking which helps increase the ranking of the site on search engine plate forms. Improve the reach and visibility online – We will promote your business, brand and product effectively on social media in order to increase the reach, visibility and interaction of your product manifold with potential customers whose interest in your brand, in turn, will improve the standing of your website on the internet as well as among competitors. Content Creation – Social Media Optimization is an art than science or a set of mundane guidelines as you cannot devise a set technique of social media optimization as a standard without taking into account a number of other factors. There is a strong need and urge to learn the needs of the clients, the natures of the business, marketing strategy, marketing ethics and ideas before the SMO techniques can be devised and set in motion. The most effective way of utilizing the potential of social media for your success and the growth of the business in the creation of targeted content with meaningful touch to seize the attention of the people. Social Sharing Tools – The setting up of social sharing tools is very important in order to effectively float the content out there for the potential targets to see and react to. This kind f service needs work and energy being spent in order to start delivering quality results. At Digital Tool, we have a team of experienced individuals who can provide quality services to your Social Media marketing requirements for the better reach and ranking of your business. We have the businesses create effective content and with the help of our shareable tools, we spread the word around the forums in the most effective manners.